Volunteering in Kenya will start with the project site visit and introduction to the staff. During the orientation you can choose from our diverse assortment of healthcare, Arts and Music, Sports Coaching, Orphanage Care, Slum Project, and socio-economic projects. Volunteers use their talents and skills to enhance the lives of orphans, under privileged women and youth while learning about the culture and customs of Kenyan people. As a volunteer in Kenya, you will get involved with on-going community development programs in need of a helping hand. You can spend the first day helping to paint the classroom blocks, work with teachers, prepare meals for orphans, train a dance, musical instruments, and work with clinical officers or participate in the youth empowerment projects. The adventure trip will start on the 10th day of program and we shall drive to Kenya’s northern frontier through the beautiful Kikuyu farmland. Wild and rugged, Samburu Game Reserve is fiercely beautiful with its arid Savannahs watered by the lovely Ewaso Nyiro River. It is also one of Kenya’s most protected areas and home to species only found north of the equator, from the Reticulated Giraffee to Grevy’s Zebras and Beisy Oryxes. Lunch in Nanyuki. 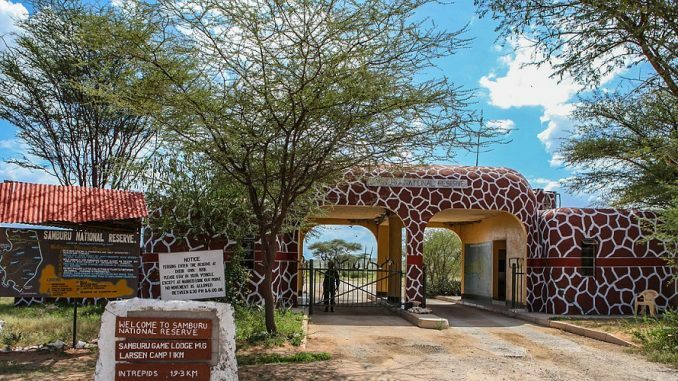 On arrival, you will enjoy evening introductory game drive. This day, you will enjoy early morning and evening game drives. We will be looking for the rare species of animals and the also will pursue Elephants, Lions, Leopards and Cheetahs that thrive in the reserve’s grasslands and Acacia woodlands. And so the day is spent in alternating pursuits of exploration in the bush and relaxation in our campsite . After breakfast drive down to the floor of the Great Rift Valley to Lake Nakuru National Park, making a brief stop at Nyahururu Thompson’s Falls. Arrive in Nakuru for lunch. The afternoon is spent on another exciting game drive in the Park. Besides the Flamingoes that the lake is famous for, there are approximately 400 other species of birds visiting the lake. In addition, the wildlife to be found in the Park including the introduced Rothschild’s Giraffes, Black and white Rhinos, Waterbucks, Reedbucks, Lions, Buffaloes, Leopards, Baboons and many species of plains game. After early breakfast at the hotel, continue your adventure tour to the Maasai Mara Game Reserve–jewel Wildebeest migration and is a true home of the big five-Lion, Elephant, Leopard, Rhino and Cape Buffalo. After lunch, explore the Reserve on a late evening game drive. Early morning tea/coffee or Hot chocolate then depart for a morning pre-breakfast game drive. Back to the accommodation for breakfast, then depart to Narok for lunch to arrive in Nairobi in the evening to end your 15 Days Volunteer, Samburu, Nakuru & Mara Camping Safari.